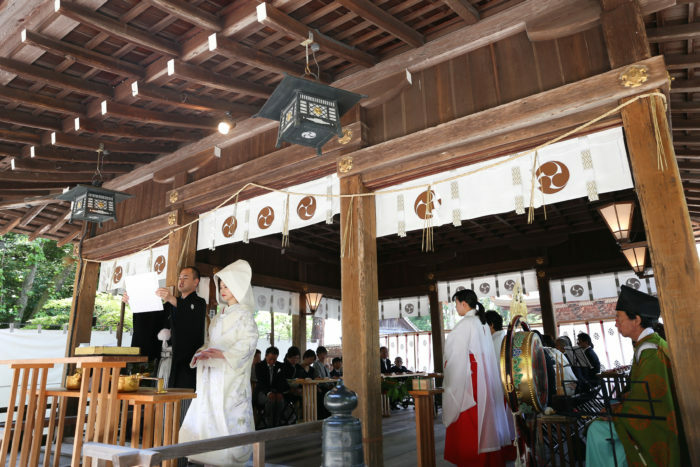 We provided our service at the wedding ceremony taken place at Himure Hachimangu Shrine in Omi-Hachiman City in Shiga prefecture. It was a familiar place for the groom who had been brought up in the neighborhood area. They were blessed with perfect weather and the ceremony was attended by their family and friends. 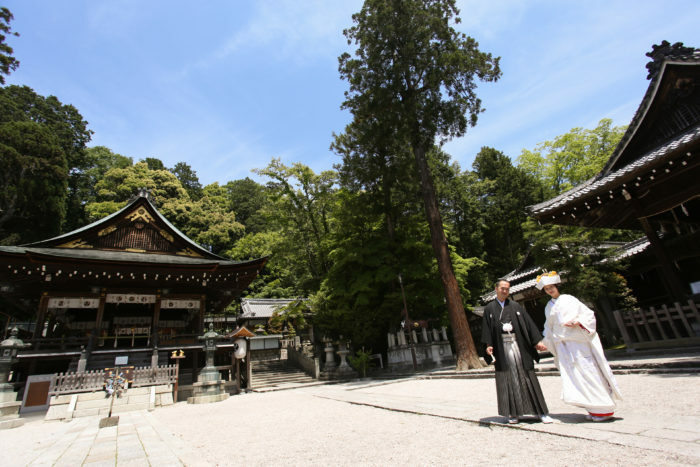 one of the tourists who visited the shrine asked us if it was a shooting of a film. 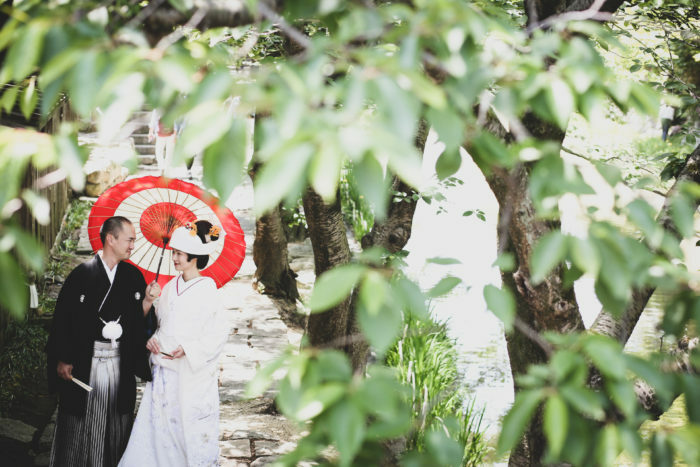 After the ceremony they had their bridal photo taken by Hachiman-bori nearby. They posed on the bridge and by the river and the photographer was running around to get the beautiful couple’s photo from all the directions. The bride and groom respected each other and they had their own style. We appreciated that we were given a great opportunity to support such a great wedding ceremony.